On April 13th the Russian Association of Communication Agencies (RACA) held a ceremony to award the winners in the RACA creativity rating in 2015. 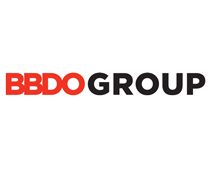 BBDO Russia Group and Instinct came 1st and 2nd in the “Creative” category respectively. Aside from the agencies, the best experts in the advertising industry also were awarded. The “First among equal” in the “Creative” category is Nikolay Fabrika, Creative director at Instinct. He also came second in the “Marketing services” category. The bronze awards for creative went to Andrew Contra (Creative director) and Fernando Muto (Senior art director), both from BBDO Russia Group. Roman Firainer and Yaroslav Orlov – Managing creative directors at Instinct – shared the third place in the “Marketing services” category. The AdPeak rating is calculated based on the number of awards that companies receive at Russian, European and international advertising festivals. The number of points they get depends not just on places, but on the differences in festival importance as well. Two of our group’s clients were also included in the rating: 3M took 1st place in the “Creative” category, while IKEA came second, taking another second place in the “Marketing service” category.